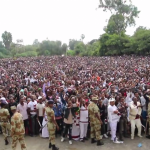 The Zone Nine bloggers: Free press Journalist for reporting the truth, corruption, and the human rights condition in Ethiopia at great personal sacrifice and risk. Nahom Marie, a 17 Years old, software and iOS app developer who will be attending MIT. 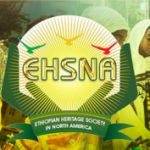 These are among those who will be primarily honored, celebrated, and remembered at the upcoming Ethiopian Heritage Fourth annual Festival to be held from Friday, July 25 to 27th 2014. Poet Laureate Tsegaye Gebremedhin was a renaissance man. He was poet, playwright, essayist, historiographer, philologist, art director, humanist, and peace activist. Born in 1936 Ambo, Ethiopia, Tsegaye Gebremedhin’s artistic talent was noticed early on by his grade school teacher. Into adulthood, he advanced to become a prolific playwright and poet. Throughout his life time, he has published over 11 research papers, over 40 plays and poetry in Amharic, and translated more than 16 plays in Amharic and English, some being his work. Moreover, he has also held several positions such as was General Manager of the Ethiopian National Theatre, Vice-Minister of Culture and Sports, editor at the office of Oxford University Press, assistant professor at department of Education at Addis Ababa university from (1977-1978) and much more. His awards include the following: Emperor Haile-Selassie I International Prize for Amharic Literature in 1966, The Gold Mercury Ad Persona Award in 1982, 4 Fulbright Senior Scholar Resident Fellowship Award; Human Rights Watch Free Expression Award in New York in 1994, and Honorable Poets Laureate Golden Laurel Award. In addition, his literary contribution particularly to Ethiopia is immense and remains as an icon etched not only in Ethiopian history and identity, but to Africans as well. Zone9bloggers are a group of bloggers dedicated to presenting the various pertinent social issues such as political repression and human rights activism. The six bloggers are Atnaf Berahane, Mahlet Fantahun, Natnael Feleke, Befeqadu Hailu, Zelalem Kiberet, Abel Wabela, and 3 journalists; Edom Kassaye, Tesfalem Weldeyes and Asmamaw Hailegorgis of Addis Guday magazine. After much surveillance and harassment, as of April 26th they have been charged with terrorism and imprisoned at Maeklawi prison which is notorious for torture. The ESHNA acknowledges the diligent work zone9bloggers have contributed to human rights and the idea of free expression. Nahom Marie is a bright 17 years old high school student whose academic achievement is exemplary. Nahom’s exceptional academic began whilst in Kindergarten where he exhibited a higher understand that advanced him to several classes beyond his age. 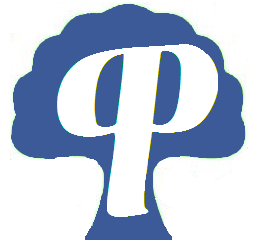 Nahom Marie is an aspiring software and iOS app developer from San Jose, California. He has worked on different types of apps from BOOM, a music recognition app that utilizes the capabilities of the Pebble smart watch, to an in-progress tutoring app that looks to make the process of tutoring and/or finding a tutor tailored to compatibility and several preferences. Graduating this summer, Nahom has received several awards and scholarships to various universities such as Princeton, Sanford, Harvard, MIT and many more. Besides his academic achievement, he has engaged himself in working within the Ethiopian community. He often volunteered after school to help students with their homework’s, and acting not only as their tutor but as mentor as well. Along with the ceremonial honorees, the Ethiopian Heritage Festival will offer venues for members of the Ethiopian Diaspora Community and their American neighbors to learn about and celebrate the Ethiopian experience. These include art, crafts, and jewelry exhibitions. 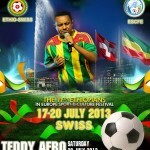 Plenty of delicious Ethiopian cuisine, traditional music and dancing, soccer and running sports, and plenty of activities for the youngsters will keep everybody interested. Posted by cybereth on Jun 20 2014. Filed under News, Views and Opinions. You can follow any responses to this entry through the RSS 2.0. Both comments and pings are currently closed.